So, as you can see, I’ve created an inspiration board! When I was choosing a colour scheme for our wedding I wanted to choose something that would suit our venue. 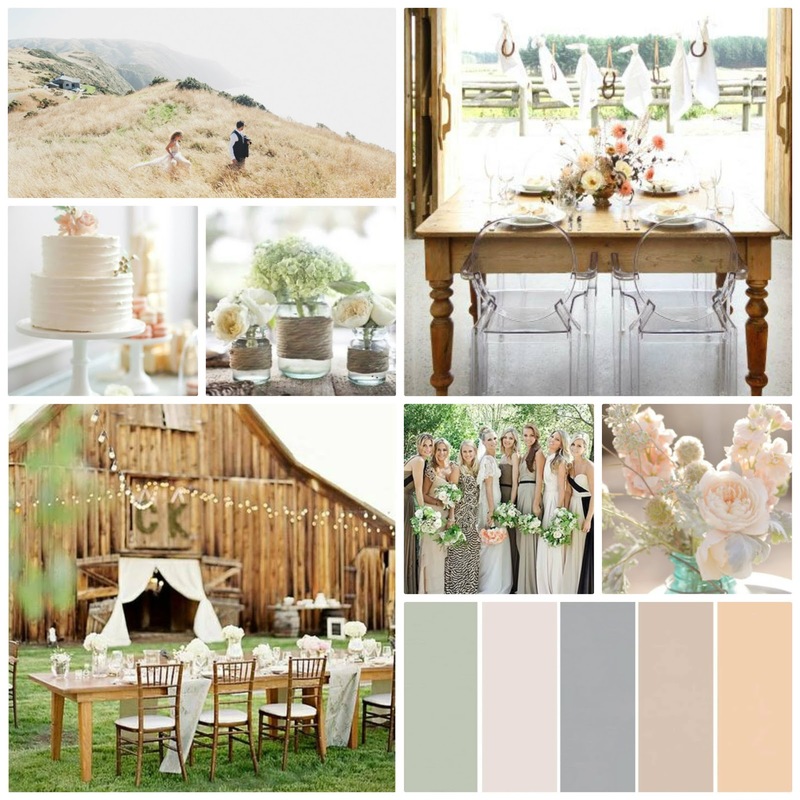 Sudbury Fields has a beautiful rustic barn and a touch of country charm, so we decided a classy neutral palette which will be timeless and soft against the beautiful natural backdrop. Like everyone else, I seem to go through favourite colours like I do fashion so I didn’t want to pick something that in a year’s time I wouldn’t like anymore. Neutral colours are timeless and won’t date. I would like to look back at my wedding on our 20th wedding anniversary and not change a thing. Classic! I totally agree with you. I also prefer neutral colours over colourful ones. The moodboard you created looks amazing, and I didn't even know you are getting married!! Congratulations with that dear!!! Oh it's beautiful! I love the colors you've chosen. Personally I prefer neutral colors too for the same reason that you do! Classic colors last forever as opposed to something wild and colorful! Reading your pose made me think about my own wedding for a second hehe (though I am only 17) I wonder if I am going to go with a white or red (red is traditional for chinese weddings) dress. Kinda random!